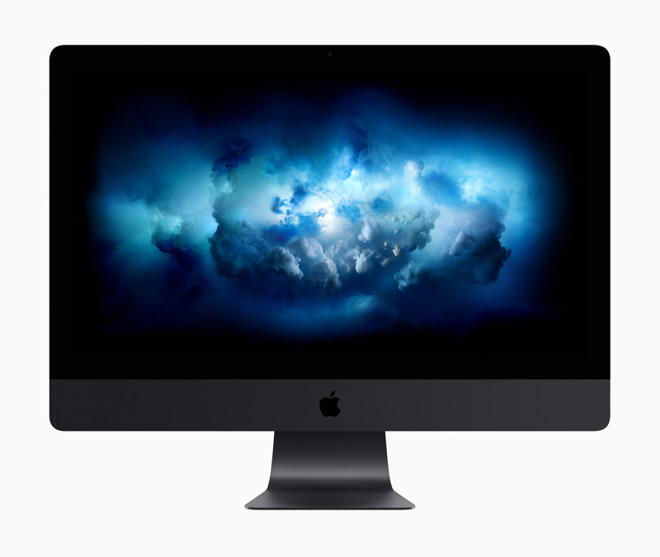 Updated on March 19 alongside other changes to the Apple product lineup, prospective customers looking to acquire an iMac Pro were given the opportunity to select two more options as part of their order. The memory could be set up 256 gigabytes, at a cost of $5,200 on top of the entry-level price, while an upgrade to the Vega 64X for graphics put the price up by $700. It seems that customizing the order from Apple may be the only opportunity customers will get to go for 256 gigabytes of memory. Documentation for use by Apple's store support teams and Apple Authorized Service Providers allegedly indicate only iMac Pro models configured at the time of purchase to have 256 gigabytes of RAM will be able to support the high memory quantity. While it would be physically possible to insert four 64-gigabyte memory modules into the iMac Pro, configurations starting with memory capacities below 256 gigabytes apparently won't be upgradable to the figure at all. It is unclear why Apple would prevent memory upgrades to that quantity, as the limitation could be due to a number of factors. It is plausible for there to be a limitation in the design of the iMac Pro that requires an additional workaround, though it may also be a move to try and encourage customers to pay for their memory upgrades through Apple directly rather than going down the route of third-party upgrade kits. An Apple corporate source not authorized to speak on behalf of the company advised to AppleInsider that "any of the iMac Pro models can be upgraded to 128GB. At present, the only way to get to 256GB on an iMac Pro is to order a custom configuration." The reason for the limitation wasn't advised, but it does still mean it could be lifted in future, potentially by a firmware update. For the best deals and latest product availability, be sure to check out the AppleInsider iMac Pro Price Guide.